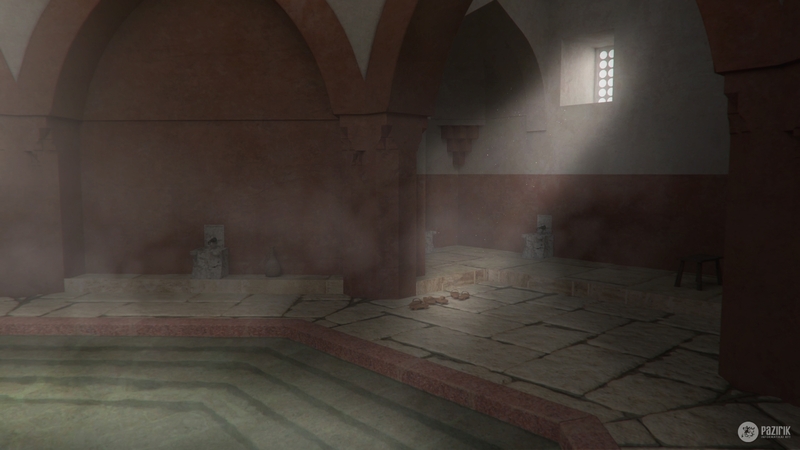 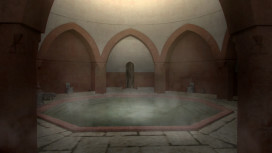 The baths are characteristic relics of Budapest from the Ottoman era. These are the monuments of the bath culture under the Turkish rule which were built using the thermal springs, that were used in preceding times as well. 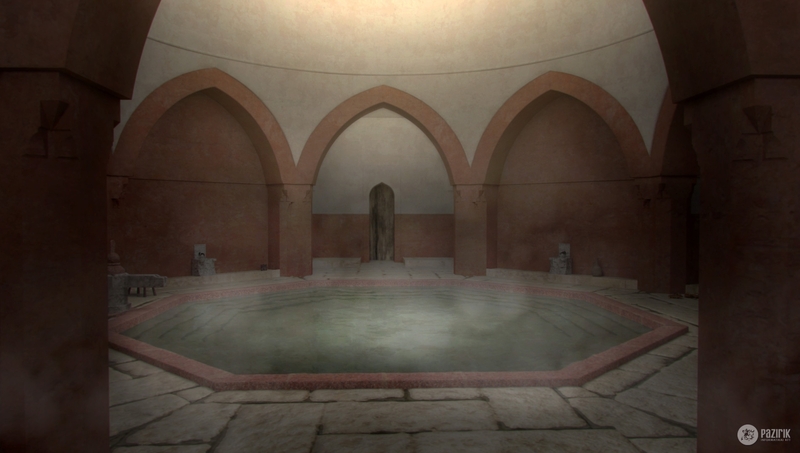 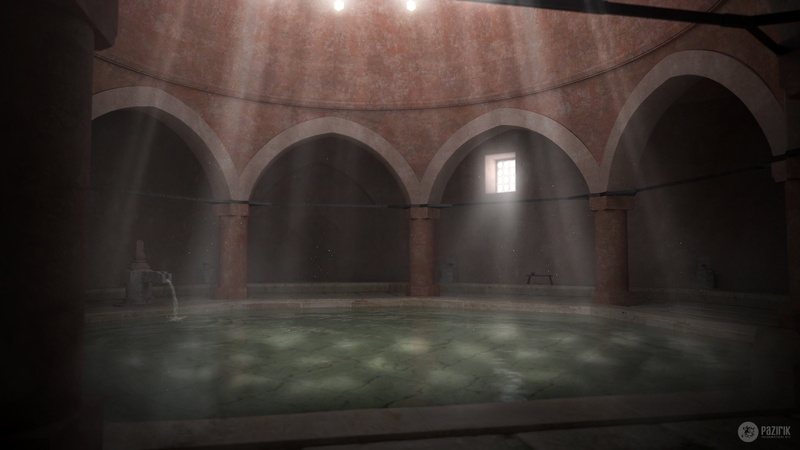 The specialty of these is that all operated with the use of natural thermal water. 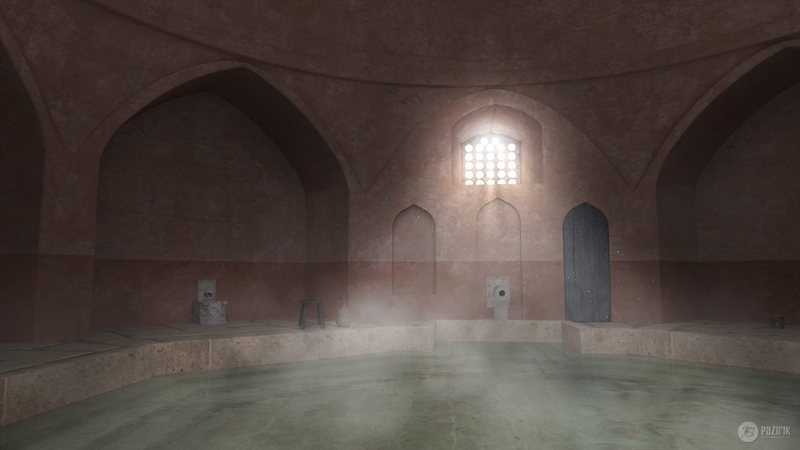 Amongst the baths the simplest construction is the Rác bath standing at the foot of the Gellért mountain, while we can see the more complex constructed Veli bey bath north from Buda standing opposite to the Margaret Island. 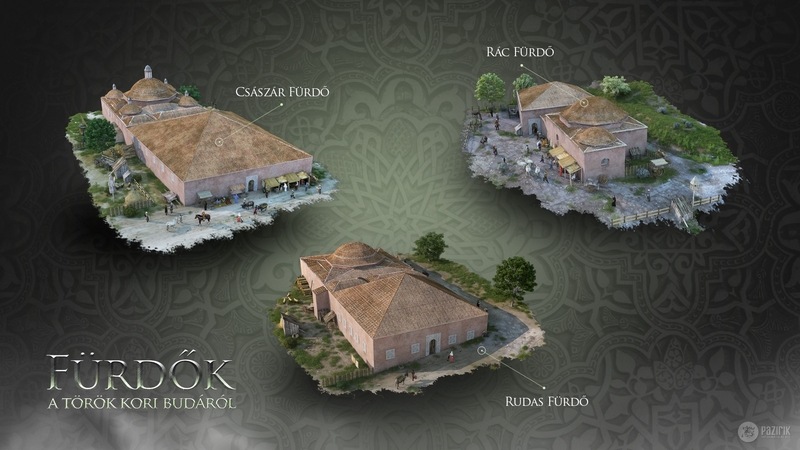 Rudas, the bath with the most lavish configuration, lays at the foot of Gellért Mountain on the bank of the Danube, the weight of its dome is carried by peak-arched vaults standing on eight pillars. 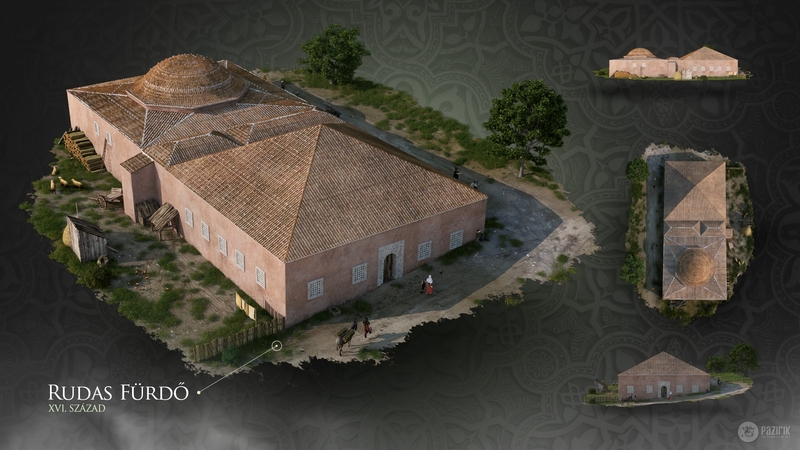 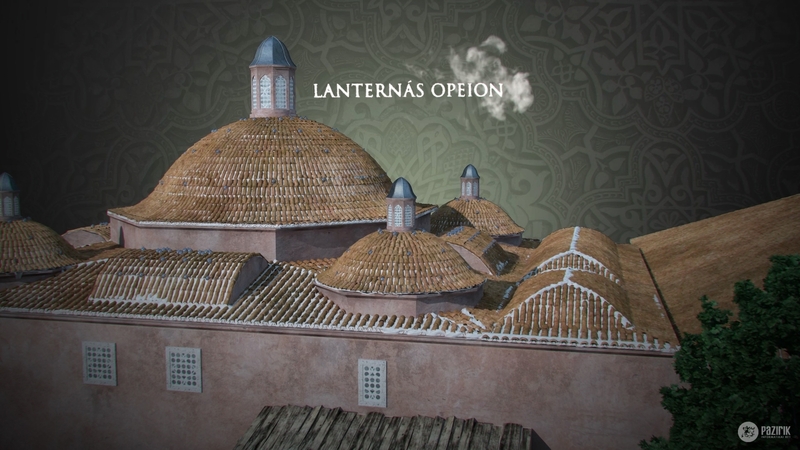 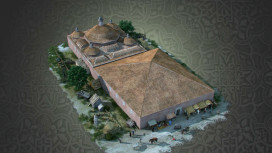 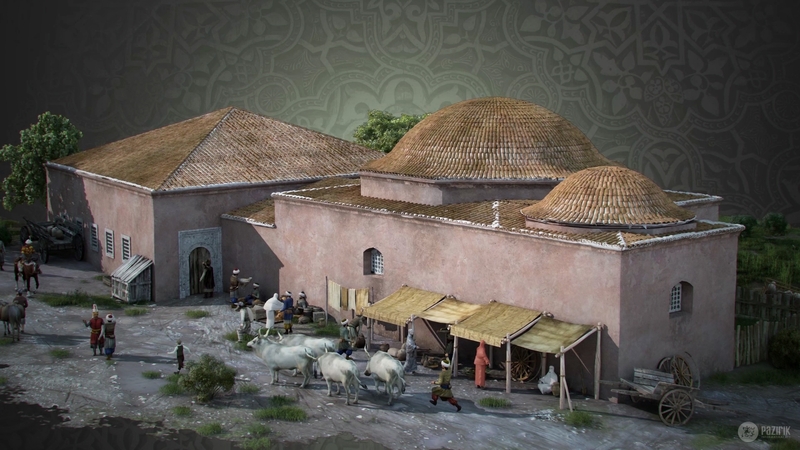 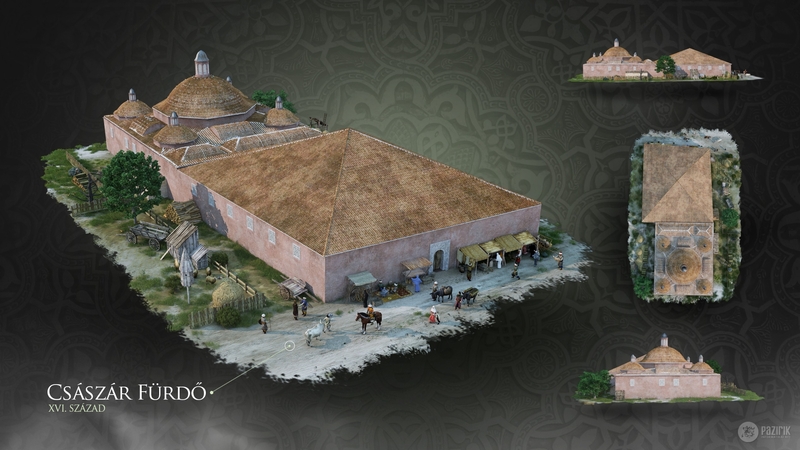 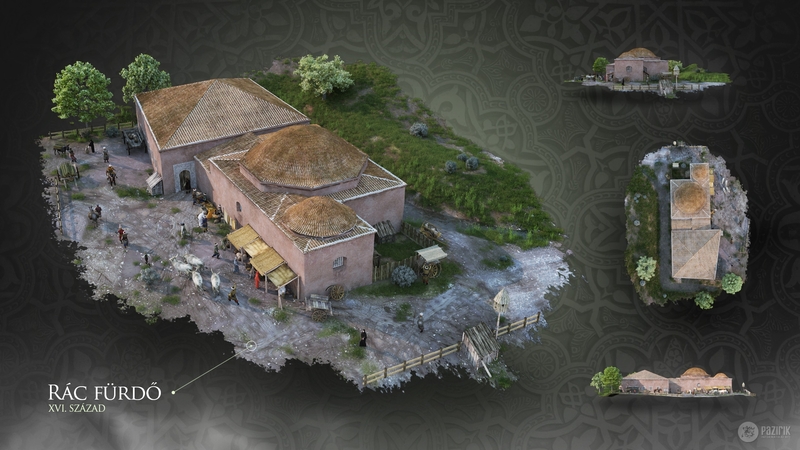 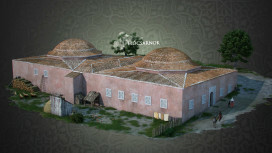 In our animated historic video made for the Budapest History Museum, you can see these three spectacular Ottoman buildings through 3D theoretical reconstructions and live video footage. 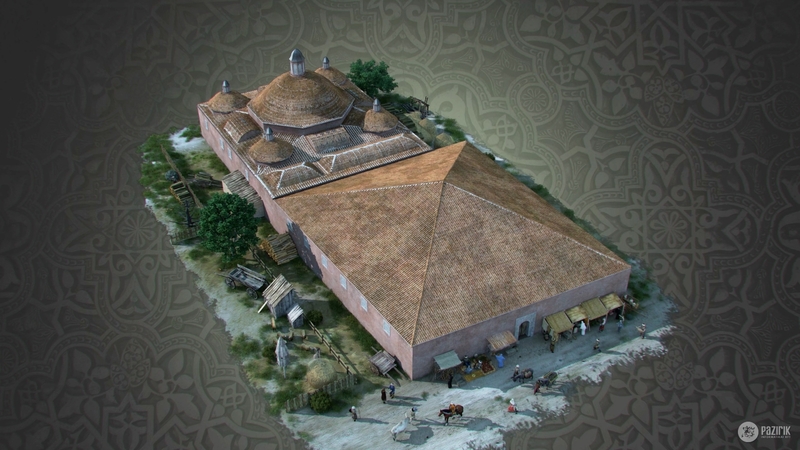 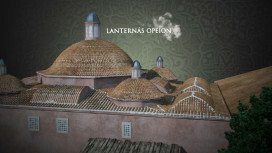 The video can be watched at the exhibition titled ’Közös úton – Budapest és Krakkó a középkorban’ (On a joint path – Budapest and Kraków in the Middle Ages) both at Budapest (Hungary) and in Kraków (Poland).